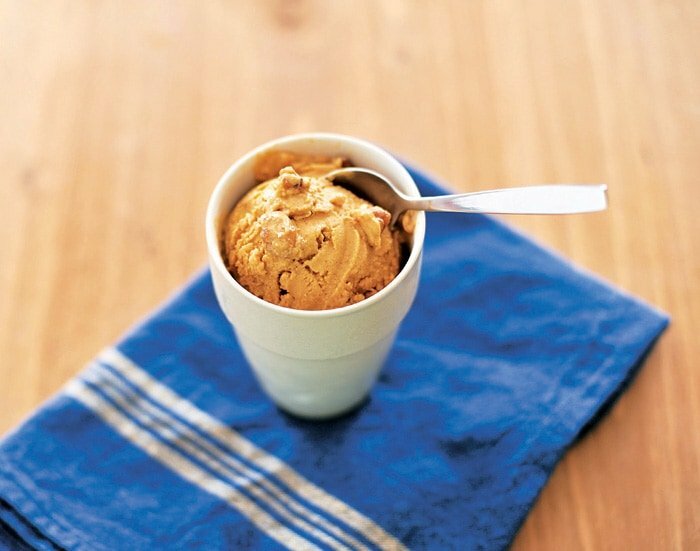 Since this is pumpkin everything season I thought you’d like to try Joni and Celine’s vegan pumpkin spice ice cream recipe from their book The Complete Guide to Vegan Food Substitutions. The book is full of great staple recipes and is a resource for new vegans. But the recipes are delicious and varied enough that even old school vegans will find new fun things to make too. 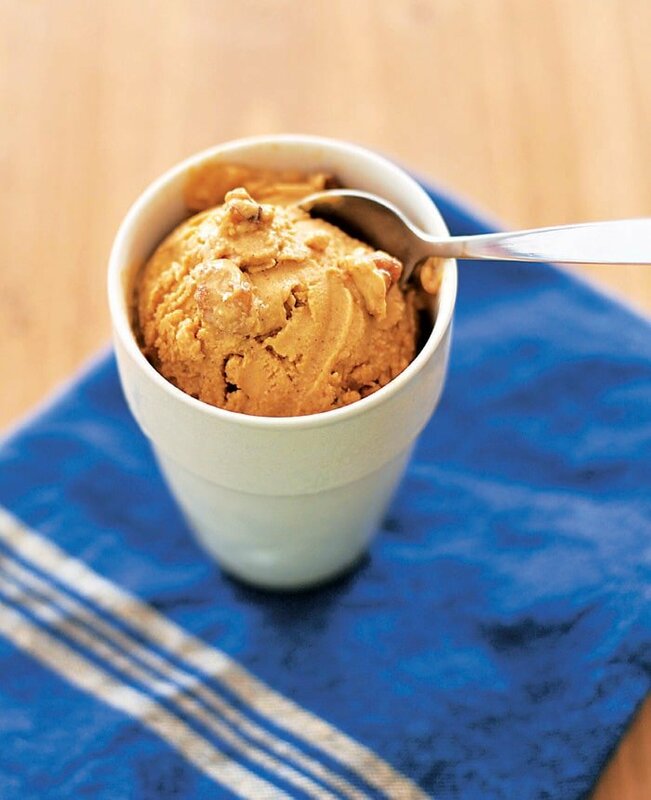 It’s vegan, creamy, and full of pumpkin spice ice cream goodness! Move along, dairy ice creams: This one is rich, thick, and creamy, and it’s not ashamed. If you have a hard time finding Speculoos cookies or don’t have the time to make your own, use graham crackers instead; just be sure to check for nonvegan ingredients. Add a few toasted walnuts, if you want an even fancier treat. Blend 12 cookies in food processor, until finely ground. Add remaining ingredients except the extra cookies and process until smooth. Place mixture in ice-cream maker and follow manufacturer’s instructions. Stir in 4 extra cookies, broken into chunks, as add-ins during last 5 minutes of churning. Variation: If you’d rather use toasted walnuts as an add-in, make 'em maple! 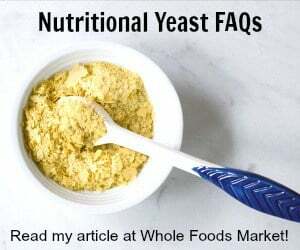 1 cup (117 g) walnut halves 1⁄4 cup (60 ml) pure maple syrup Pinch fine sea salt Preheat oven to 325°F (170°C, or gas mark 3).Combine all ingredients on a small baking sheet, and toast for 10 minutes, stirring once halfway through. Remove from oven and let cool on sheet. « Online Instant Pot Class – All About Soups!